Tollbar MAT Sixth Form College Year 13 students visit The Light in Leeds, for Sociology and Psychology Tutor2u revision workshops. Tollbar MAT Sixth Form College students have been taking part in A Level revision workshops at venues across the North of England. The college is the only one in the local area to facilitate visits to the Tutor2u workshops, which complement the onward structured revision programmes running across all A Level subjects at Tollbar MAT Sixth Form College. 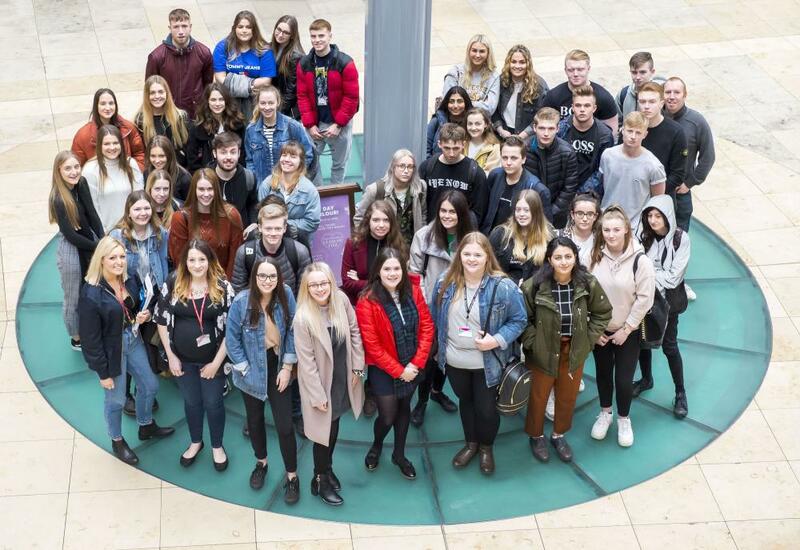 More than 90 Year 13 students have taken part in the workshops, attending full-day revision sessions over three days in Manchester and Leeds. Subjects covered were Geography, Business, Economics, Sociology and Psychology. Designed to put students through their paces, the Grade Booster workshops provide essential revision support to Year 13 students as they complete their preparation for their summer exams. The intensive Grade Booster workshop format is designed to refine and sharpen key exam techniques and build confidence in the essential assessment skills. The A Level Business Grade Booster Workshops combine four hours of intensive large-group tuition by experienced presenters with exam board experience; a workshop booklet containing all the session content, extension activities, guidance on exam-board specific exam technique and other essential revision materials; and access to supplementary online revision material. Richard Foster, Deputy Head of Tollbar MAT Sixth Form, said: "We are very pleased to be able to offer these workshops to our students. They offer invaluable extra support which complements our own structured revision programmes and all of the students felt they had benefitted from their visits, which also helped to boost their confidence."